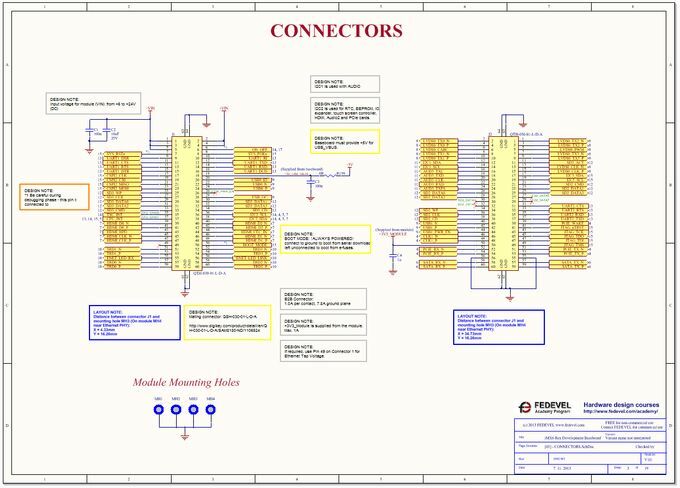 We finished Development Baseboard Schematic. It connects all the peripherals from the module such PCIE, SATA, Ethernet, LVDS, USB, SD, Audio …. We added extra GSM modem + voice PCIE mini card support. It can be used for example with Telit HE910 Mini PCIE module (which also includes GPS support). If you have any questions, just let me know.